Gold and Black 1955. the 1954-1955 year was the year the Johnsonville Elementary School was built. This yearbook features the final year that the old school cafeteria was in use before students began sharing the new elementary school cafeteria in the adjacent school building. 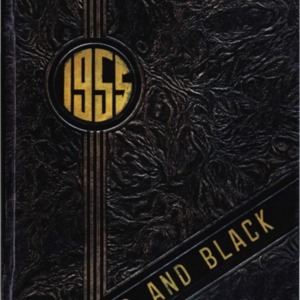 “Gold and Black 1955,” Johnsonville SC History, accessed April 19, 2019, https://www.johnsonvilleschistory.org/items/show/285.